Comparing the cost of a device online vs. the cost of the same device provided in a medical professional's office is not a valid comparison. As the consumer, you have to decide what is right for you and consider the trade-offs. Sure, online products tend to be less expensive - but you also lose the important services and benefits outlined above. Please make your decision carefully and, when in doubt, consult your medical provider and insurance company. Our site features exceptional sports medicine products that focus on arthritis and pain relief, injury prevention, and sports injury rehabilitation. 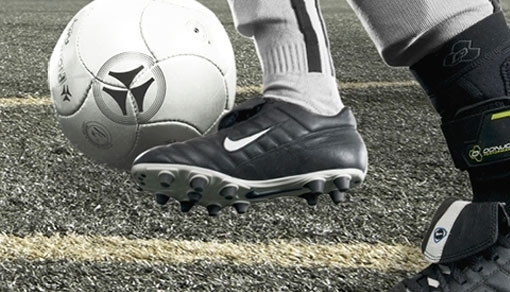 You can also turn to our Shop-by-Injury section for the best products for common injuries. We only sell products from the most trusted brands in the industry including DonJoy Knee Braces and Aircast Ankle Braces. Check out our Shop-by-Sport section to see what braces, supports, and therapy products our team of Brace Experts recommend for your favorite sport. Whether you're looking for the best knee braces for football or golf wrist supports, we have the products that will help you stay in the game.